The addition of floor mats is standard when it comes to professional buildings. Check out any office building and you are almost guaranteed to find floor mats at the entrances, in front of most doors, at the elevators, and in the washrooms. Floor mats can also add a nice aesthetic touch to your business. A brightly coloured and nicely designed floor mat can bring life to any drab entrance and make a fantastic first impression to customers entering your business for the first time. 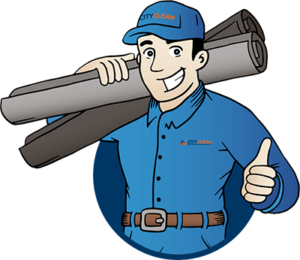 Floor safety mats can prevent liability concerns. Hard floors can become extremely slippery and dangerous with just a little moisture. Slipping on a floor can lead to serious injuries. If a customer or employee slips on your floor, you may end up in a lawsuit because it’s the responsibility of the business owner to keep their floors safe. A floor safety mat will permanently provide your customers and staff with a safe walking surface. Water, dirt, snow, salt, and sand will eat away at your floors over the years. This is especially true if you live in an area with long and messy winters. A floor mat will help absorb moisture and dirt, which could add years to the life of your floors. A custom floor mat is an easy and inexpensive way to reinforce your brand name. Imagine a customer walking in and the first thing they see is your company logo emblazoned on an attractive, high-quality floor mat. It would enhance the prestige to your company name. Your new floor mat should match the décor of your business. Something too colourful might look garish, but something too drab won’t catch your customers’ attention. Your mat should add to your space, not take away from it. A custom floor mat can be designed to match your business. You have complete control over its appearance to ensure that it complements your brand perfectly! Interested in getting a custom floor mat for your business? 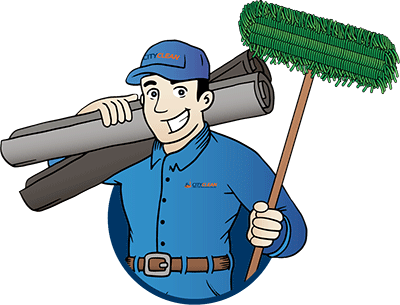 Look no further than City Clean! 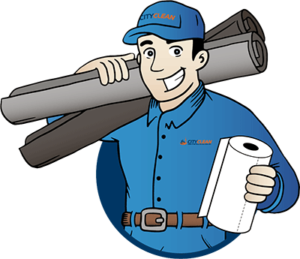 Offering floor mat service to the Greater Toronto Area since 1972, City Clean offers a full range of products and services, including custom-designed mats, logo mats, and rental and maintenance services. Contact us today to find out how we can meet your custom floor mat needs. ‹ Are Rubber Mats A Good Idea?